The Social Security administration rolled out a new version of its online benefits calculator today. The new version of the benefits calculator requires less input from the user by making use of the Social Security database to determine past wages. The new incarnation also enables users to factor in higher future earnings when calculating benefits, making for a more realistic outcome. The new "Retirement Estimator" is available right now on the Social Security website. I was excited to learn that the SSA has taken at least half of the guesswork out of the benefit calculator by accessing the past data they have on you; unfortunately you're still left to determine what you will make for the rest of your working years. Even if you have to make an educated guess in order to complete the process, the benefit calculator is still way more useful than the bleak annual mailing I've gotten for several years now, informing me of my current benefits, which suggest that I will be lucky to collect 78 cents on the dollar in my retirement. While the new benefits calculator was just launched, in true government fashion, it isn't up and running for all users just yet. 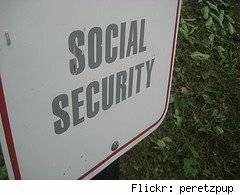 As of this writing, the calculator is only available for people who have enough credits to qualify for Social Security, are not currently collecting benefits, and aren't eligible for a pension which isn't based on Social Security. If the new Social Security calculator doesn't provide you with enough information to feel informed about your future be sure to check out the retirement calculators here at WalletPop.